Here's a true Motivational Short Story for all of you living both in the 21st century and on a budget. I realize that a lot of people are now carrying very nice phones these days, but there are a lot of people confused about who's map is better - Verizon or AT&T. A lot of us don't know what our phone can do, what it should do, and how much we're being charged for holding the phone to our ear a few times a day. With that, I thought it would be nice to offer you fine people a free service that is indeed useful. 1) You can access Twitter from your phone - not having to have a $30+/month for mobile internet service. You can access people's Tweets through your regular unlimited text messaging service. 2) You can post your own Tweets right from your phone. ON motivationstory - This command turns on notifications from the user MotivationStory (Rodrigo Silveira). FOLLOW motivationstory - This command registers you as a follower of Rodrigo Silveira. @motivationstory + message - This sends a message to Rodrigo Silveira and saves it in his replies tab. Remember, the message must be less than 140 characters in length. 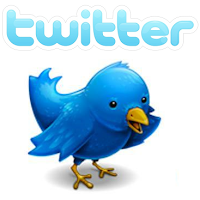 Now you can register an account with Twitter and receive our updates daily, straight on your phone. Get daily tips for success, short motivation stories, inspiration quotes, motivational short stories, and much more.